Unable to let go, Max’s family call in Call McGill. Known as The Sea Detective – hoping he’ll force the sea to give up its secrets. Yet Cal finds he is an outsider to a broken family, and an unwelcome stranger to a village that has endured years of suspicion. 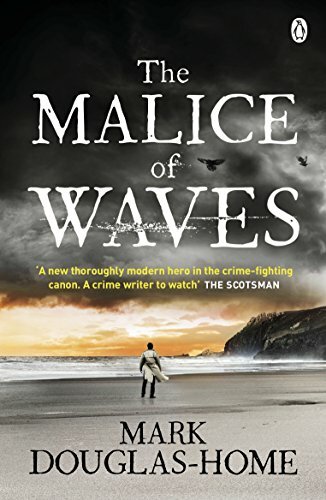 The Malice of Waves is the third book in Mark Douglas-Home’s The Sea Detective Mystery series and I think it is my favourite. It has an interesting opening scene as Cal sinks a dead pig into the sea off Priest’s Island (a fictional island) to try to work out where the tides, underwater currents and eddies might have taken Max’s body. It’s really a cold case enquiry and there is no new evidence to help him discover the truth. Each year on the anniversary of Max’s disappearance, his family hold a memorial service on the island. His father is convinced that the villagers are complicit in his son’s murder. The Malice of Waves is just as much a story of the villagers as it is of the Wheeler family and the setting of Priest’s Island, beautifully described by Douglas-Hume, is also a major part of the book. The location came to life as I read the book, making it easy to visualise the scenes. It’s well written and easy to read, leading me effortlessly into the mystery. The police are also present on the island as DS Helen Jamieson is staying undercover in the village, helping Cal with his investigations. I like the insight into Helen’s unspoken feelings for Cal. Both her and Cal are strong, independent characters and the other characters are well depicted too. Interwoven into the main story is ‘Pinkie’ Pyke’s story. He is a collector of birds’ eggs, but his interest is into rare erythristic bird eggs, those with pink or reddish colouring and there is a raven’s’ nest on the island. The Malice of Waves is a fascinating book, not only an engrossing mystery, but also a study of the sea, of birds’ eggs (I had never heard of erythristic eggs before), of obsessions and of the way people cope, or don’t cope with grief. I loved it. Reading challenges: Read Scotland – Mark Douglas-Home is a Scottish author. 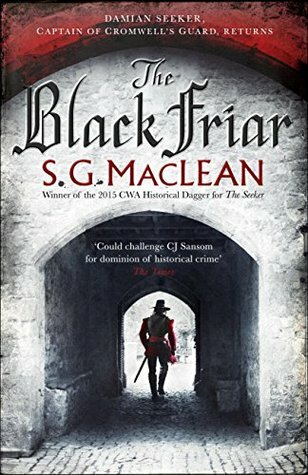 The Black Friar by S G MacLean is one of those books that has the power to transport me to another time and place. I was totally absorbed, convinced I was back in England in the 17th century. It is the second book in the Damian Seeker series, historical crime fiction set in 1655 during the Interregnum under Oliver Cromwell, the Lord Protector. Damian Seeker, Captain of Cromwell’s Guard, works for Thurloe, Cromwell’s Chief Secretary and spy master, in charge of the security of the regime. It’s a complex mystery, particularly as there are various factions and religious sects plotting rebellion against Cromwell. A body, presumed by his black robe to be that of a Dominican friar, is found bricked up in a wall in Blackfriars, once a monastery and now a derelict building gradually falling into the River Fleet. But this was no friar, as Seeker recognised him as Carter Blyth one of Thurloe’s undercover agents, who had been working in the Netherlands, observing the Royalists colluding with foreign powers. As far as Seeker knew he had been killed in Delft three months earlier. Seeker’s task is to find why he had been killed and who killed him. He discovers that Blyth under Thurloe’s orders had in fact infiltrated a group of Fifth Monarchists who wanted to overthrow Cromwell and had been living with the Crowe family, members of the group, under the name of Gideon Fell. It’s a complicated and intricate tale as Seeker, helped by Nathaniel Crowe, tries to discover what Blyth had been doing, and what trail he was following. There are missing children, whose whereabouts Blyth had been investigating, and plots to overthrow Cromwell as well as plots to reinstate Charles Stuart as King. Although The Black Friar is the second book in the series, (the first is The Seeker, which I haven’t read) I think it works well as a stand-alone book. The characterisation is strong and I particularly like Damian Seeker, a man both respected and feared, and a man to trust. I also like the way S G MacLean has based her book on solid historical research (she has an M.A. and Ph.D. in History from the University of Aberdeen) and weaves real historical figures into the story, such as the poet John Milton, now an old blind man, the Secretary of Foreign Tongues and the diarist Samuel Pepys, an Exchequer clerk, who though very personable was ‘prone to drink and some lewdness.’ It all brings to life the atmosphere and tenor of the 1650s. I loved it. My thanks to Netgalley and Quercus books for my copy of this book. It is due to be published on 6 October. I’ve read a few of Alexander McCall Smith’s Isabel Dalhousie books, which I enjoyed – but not any of his 44 Scotland Street novels. So when I saw Sunshine on Scotland Street in the library, going off the blurb on the back cover, I thought it would be a change from the crime fiction and historical novels I’ve been reading recently. Even though I haven’t read the seven books before this one I had no difficulty in following the storylines, although it is obvious that the characters all have backstories and previous relationships that are hinted at in this book. 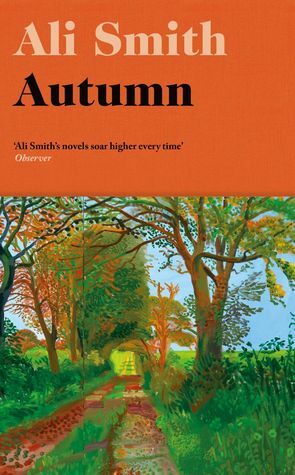 In a way it’s very like the Isabel Dalhousie books as the action is interspersed with McCall Smith’s philosophical and ethical musings, his thoughts about human nature and relationships, which in general I liked more than the story. It begins with an amusing account of the preparations for Angus and Domenica’s wedding, which Angus seems to think will just happen without much preparation by him – a hole in his kilt, his lack of a ring, and he has given no thought at all about where to go for thier honeymoon. But his bestman, Matthew helps him sort out the kilt and ring problem and Domenica has arranged both the reception and the honeymoon. After that Angus and Domenica disappear from the book until the last chapter, leaving Cyril, Angus’s dog in the care of the Pollock family, the insufferable Irene, her long-suffering husband, Stuart, 6 year-old son Bertie and baby Ulysses. Cyril and Bertie are my favourite characters in the book and their ‘adventures’ caused me much concern, as Irene does not like Cyril and stifles both Bertie and Stuart. 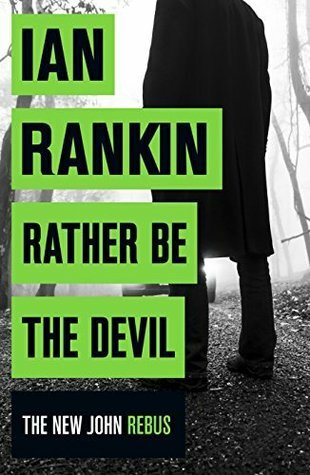 In fact I wasn’t too bothered about any of the other characters, apart from Bertie’s spindly-legged friend from cub scouts, Ranald Braveheart Macpherson and his mother who has no difficulty in putting Irene firmly in her place. Reading challenges: Read Scotland and What’s In a Name, in the category of a book with a country in the title. Earlier this year I read and loved The Sea Detective, the first Cal McGill book. Cal is an oceanographer using his skills in tracking human bodies and sea-borne objects. So I was really looking forward to reading the second book, The Woman Who Walked into the Sea. Maybe my expectations were too high because I was a bit disappointed – that’s not to say I didn’t like it because I did, but it lacked the pace and complexity of the first book and just didn’t grip my imagination in the same way. Cal is really a secondary character and there is very little sea detection in the story. Set in an imaginary coastal village of Poltown in the north of Scotland, the story revolves around the main character,Violet who had been abandoned as a new-born baby. An anonymous letter to a social worker reveals that her mother, Megan Bates, had last been seen walking into the sea. Her body had never been found and it had been assumed after her bag and hat had drifted ashore that she had drowned herself. Cal helps Violet with details of the tides and currents which convinces Megan had not committed suicide. She is determined to discover what had happened. I liked the mystery surrounding Megan and the local people, most of whom have problems/secrets and then there is the ‘local’ mafia and a controversial wind farm proposal. But the appeal of The Sea Detective for me was not just the detective elements but Cal himself and his expertise in the marine environment, the mystery of how the ocean currents and wind speeds affect where things get washed ashore and tracking back to find where they originated. And I thought this second book was unevenly paced, the action slowed down by long descriptive passages so that the suspense that had been built up drained away and my attention drifted. So, even though I liked this book, I don’t think it quite lived up to The Sea Detective. There is a third book, The Malice of Waves and I hope that the focus is more on Cal and his sea detective work. Reading Challenges: Read Scotland 2016 ‘“ by a Scottish author and set in Scotland.